Should your business be on LinkedIn? What makes LinkedIn stand out from the crowd is that it’s all centred around businesses, specifically, B2B businesses. Originally created as a search engine for companies looking for new staff and for people to find their next role, it’s evolved into an interactive forum to consolidate existing relationships and expand your influence. But is it right for your business? 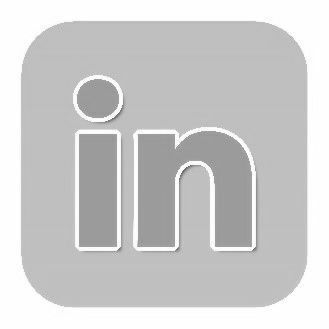 LinkedIn offers a variety of reasons to sign up: true to its origins, it’s a fantastic place to find new talent, but you can also promote your brand by setting up a company page. It’s also a good forum for keeping on top of industry news through other specialists on the site. But it’s not consumer facing, so if you’re a B2C organisation it’s worth going somewhere else, like Facebook or Pinterest. Apart from being more suited for B2B companies, what else makes it useful for you and what do you need to be aware of in terms of problems? Very useful for businesses looking to increase their networking with other professionals. Serves as a search engine which allows your business to rise on Google rankings. A great place to stay up to date with sector news. A fantastic platform for establishing yourself as an industry leader. Not very suitable for B2C companies. People may spam you with recruitment or recruiting opportunities. A lot more time consuming than other social media platforms such as Twitter and Instagram. Your staff may well have their own LinkedIn profiles, and it will show on their CVs that they work for your company. While they may actively promote your company page, they may also use the site for their own jobhunting; this is their prerogative, so it’s worth being aware that their agenda in using LinkedIn is not necessarily the same as the company’s. It’s also advisable to have a watertight social media policy to make sure they don’t bring your organisation into disrepute by anything they post on LinkedIn. If you’re a B2B business, it’s worth setting up an account and creating a company page on LinkedIn. You’ll be able to promote your products and services, create new networking contacts and show that you’re an expert in your field – with the right content, you could even turn into an influencer. If you’re looking for more about LinkedIn or other social media platforms, we offer social media training that covers a variety of topics such as what type of content you should be posting, when the best times to post are, how to engage with followers and many other tips and tricks to promote your brand across all sites.